يشكل فندق سومرست أون ذا بيير هوبارت بموقعه الممتاز في هوبارت نقطة انطلاق جيدة لاستكشاف هذه المدينة النابضة بالحياة. إن موقعه الجيد الذي يبعد 1. Km فقط عن مركز المدينة يساعد النزلاء على الاستمتاع بمعالم المدينة ونشاطاتها. يشكل هذا الفندق ملاذاَ مريحاً للاسترخاء ويمنح زواره فرصة للاستجمام والتجدد، وهو يقع على بعد خطوات من المعالم السياحية الكثيرة للمدينة كمثل: سوليفان كوف, ‪Brooke Street Pier‬, فرانكلن وارف. استمتع بالخدمات الراقية والضيافة التي لا مثيل لها بهذا الفندق في هوبارت. هذه بعض الخدمات الموجودة في هذا الفندق: واي فاي مجاني في جميع الغرف, خدمة التنظيف يوميًا, تسجيل وصول/تسجيل خروج خاص, مرافق مخصصة لذوي الاحتياجات الخاصة, تسجيل وصول/خروج سريع. تتضمن كل غرف النزلاء وسائل الراحة والتسلية المصممة خصيصاً لضمان الراحة القصوى للضيوف. يمكنك الاستمتاع بالأجواء المريحة التي تقدمها تدليك طوال النهار. يشكل فندق سومرست أون ذا بيير هوبارت بخدماته الراقية وموقعه الممتاز، قاعدة مثالية للاستمتاع بإقامتك في هوبارت. Fabulous friendly staff. Beautiful location. Only thing to fault were that we were there on extremely hot days (over 30 degrees) so the top floor was very hot even when using the ceiling fan and floor fan. The air con work d fabulously in the downstairs area though. Great place to stay. We stayed in the family apartment which has a bathroom downstairs and another upstairs. The apartment is old and basic and has a smell. Didn’t feel like our money was worth it, apart from being located just by the pier. Very limited parking bays. Loved the location and view. We were walking distance from all the restaurants and holidays attaractions that interested us. The only unfortunate part about our stay was we were unlucky enough to get a room with only a window looking out over the water. The rooms next to us all had balconies with full glass walls. Felt like we missed out! Good morning Melissa, Thank you for leaving your feedback via Agoda! We are absolutely delighted you enjoyed your stay. We are truly lucky to be located right on the Hobart waterfront and are glad that you found our location convenient and to your liking! 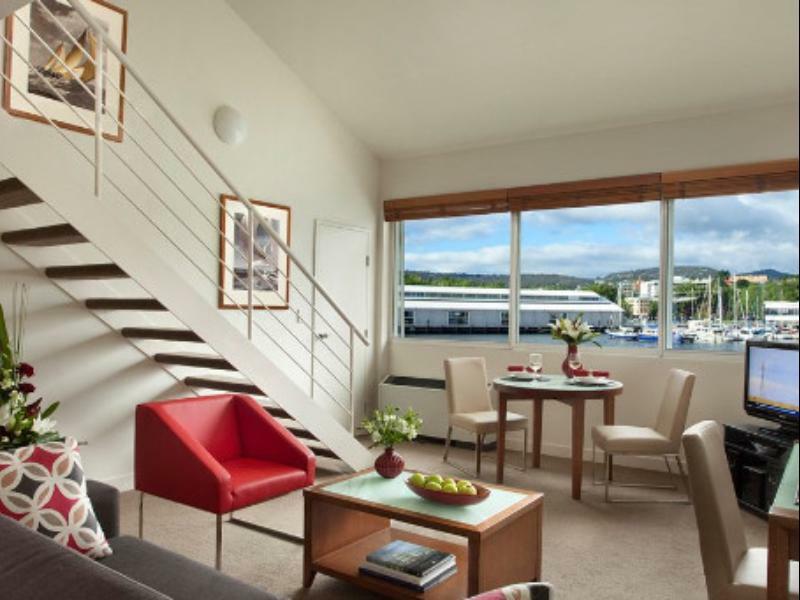 If you do stay with us again, make sure you book our One-Bedroom Premier for a balcony and a stunning view of Constitution Dock. Please do not hesitate to contact us to assist with booking at any point. Kind regards, Connor - Guest Service Supervisor. The apartment is really big. The staff is friendly. I ask for the scenic spots and restaurants. They recommend us a lot. And the location is good. There are two toilets which we can enjoy the shower. We enjoyed our stay very much. And many nice café and restaurants are nearby. Highly recommend! Good evening KIT, Thank you for leaving a review for us on Agoda! It is wonderful that you enjoyed your stay. I am glad that our staff were attentive to your needs and that you found the amenities provided met your expectations. I do hope we can welcome you back to Somerset on the Pier if you come back to Hobart. Again, thank you for your feedback. Kind regards, Connor - Guest Service Supervisor. Brilliant location, but the room we stayed in was very noisy from the restaurants below. Walls seemed very thin, we could hear the kids in the next room thumping up and down the stairs from early in the morning. Also, the mezzanine-style bedroom (no door) was very open, so even with block out blinds, we were woken up early by the sunlight (and the kids!!). Room was very clean and tidy though and it really is a perfect spot to explore Hobart by foot. The rooms were definitely not like the photos published.We had a shocked when we entered our room considering we booked a premier room.The rooms were not as luxurious and abit old compared to the photos.There is no room service available in this hotel,but there is few restaurant just around the hotel within mins of walking distance.Staff were very helpful and friendly.Car park are really very very limited. REMINDER : for those who intend travel to Australia, pls DON'T NEVER APPLY VISA via this website through this company & link - http://austentry.com, they charged USD 99 PER PERSON in which only need AUD 20 through Australia Government, they are not the proper channel to apply, I'm so foolish to apply through this company so just want to remind anyone don't do that, they even make wrong information on my name, reverse my first & given name, fortunately when I arrived the custom people was so nice to correct it for me, she also told me NEVER apply through this company so I just want EVERYONE to know about it !! Good afternoon ALEXIS, Thank you for leaving a review for us on Booking.com. It is wonderful to hear that you enjoyed your stay with us here at Somerset on the Pier. 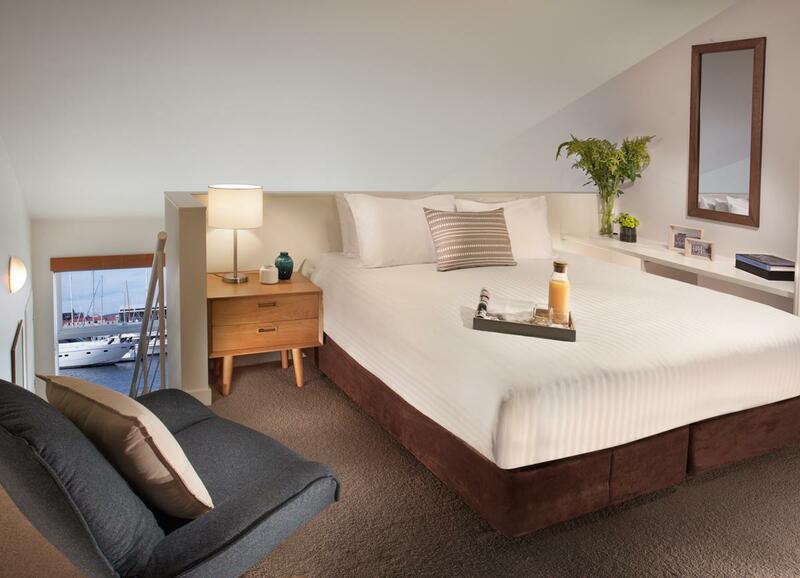 We are glad that you loved the view of the Hobart waterfront as much as we do! Thank you for your kind words about our staff. We hope you will stay with us if you visit Hobart again. Kind regards, Connor - Guest Service Supervisor. Good afternoon Wai, Thank you for leaving a review for us on Booking.com. It is wonderful to hear that you enjoyed your stay with us here at Somerset on the Pier. 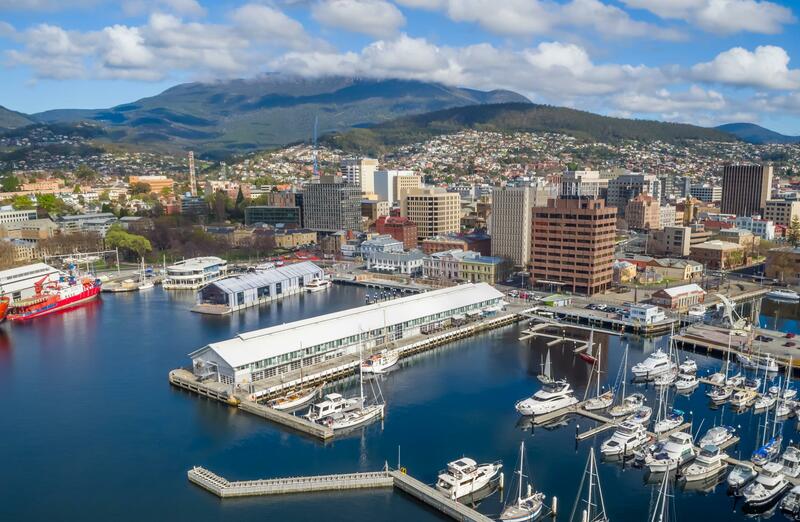 We are glad that you loved the view of the Hobart waterfront as much as we do! We hope you will stay with us again if you visit Hobart again. Kind regards, Connor - Guest Service Supervisor. Absolutely loved the Somerset on The Pier. Fabulous apartment with all mod cons and mezzanine bedroom. Wonderful balcony overlooking the harbour life. Excellent restaurants below the apartments. Easy walking distance to Salamanca Place, the city, Art Gallery and the MONA ferry leaves conveniently from the next pier. Lovely walk through Salamanca , up the Kelly Steps to the enchanting Battery Point. Whiskey Bar showcasing some of Tassie's best across the way from the Somerset. A really great place to stay . Staff are really terrific. Very helpful and friendly. Ticks all of our boxes! Perfect location , free parking and reasonable rate if at a Agoda discount. A little noisy in the morning but it is to be expected at this location. One minute walk to the MONA ferry and food options everywhere. Location is good, close to Salamanca market and anywhere in the town. We saw beautiful sun rise from the balcony. Sound proof is not very good. We booked 2 bedrooms apartment. Ventilation relies on the air-con downstairs. There's no fresh air came in when we closed the door of master room. We had 3 nights here in October. Out first impression was actually horrible due to the young man behind the counter . He was rude , passive aggressive and not a good front man . He was not only rude to us but the people in front of us and others overheard later . Sadly did not get his name . All other staff we had dealings with where wonderful . The apppartment great overlooking the marina . We had a balcony which though a bit cold was a delight to sit on the afternoon watching the world go by . The facilities wonderful washing machine , dryer, dishwasher and microwave. I would have liked a toaster . Bed a king sadly a bit worn do was like sleeping in two comfortable singles as large lump in middle of bed . Location magnificent local to all , easy to find and parking nearby . Great eateries and shops all within easy walking . Would recommend to all . A comfortable stay overall, with a great location and a nice balcony in the premier room. Only gripe was the hot and cold water for the shower which didn't seem to be working too well, as there was a loud noise whenever we turned on the cold water. The location is very good. It is just 10-15mins walk from city centre. It is a service apartment and it got all necessary tools including dish washer, washing and drying machine. The view is very good as it is located at pier. It is really very worth for money. I have written more information on my blog. Really enjoyed our stay at Somerset on Pier. Warm welcome by staff on arrival. Nice comfortable rooms, self contained kitchen, washing machine/dryer. Close to Salamanca Markets and easy to get Mona Roma boat to go to Mona Museum..not to be missed when in Hobart! Location, Service and being a serviced apartment. A very nice serviced apartment style hotel at the city center with a good view of the harbour and very close to tourist attractions like the Salamanca Square. Plenty of restaurants around like the MURES. The serviced apartment also enables you to make you breakfast / dinner or wash your clothes which would be perfect if you will stay in Hobart for a few days. the size, the loft and the view! beautiful experience! strategically located next to the Franklin Whaft, walking distance to the city and Salamanca where you can find nice food, drinks and life (it gets pretty quiet at night in Hobart). Stunning view of the Sullivans Cove from the apartment itself. Loved it! Situated in the harbor, the hotel could not be in a better location. This is where many of Hobart's main attractions, restaurants and shopping are located. The loft apartments were also a big hit with our kids as was the view on the harbor. This is also an ideal place for those looking for longer stays, as it comes complete with a washing machine and a small kitchen. Location - awesome and centrally located, and right on the pier. Next to ferry to MONA. Room - clean and spacious (Loft apartment, with washer and dryer). Staff friendly but not very accommodating.